In the recently published case of Singh v. Clay, 2011 BCSC 1172, Mr. Justice Greyell awarded $65,0000 in non-pecuniary damages to a plaintiff who sustained thoracic outlet syndrome (a condition involving pain in the neck and shoulder, numbness and tingling of the fingers and a weak grip) as a result of a series of car accidents. The plaintiff’s condition caused him to experience difficulty holding his hands above his head and caused his left arm and shoulder to go numb. His symptoms had lasted four and a half years by the time of trial and affected him at home and at work. There was a difference in expert opinion respecting whether the plaintiff’s symptoms would resolve in the future, leading the Court to find that the plaintiff’s prognosis was “mixed”. No expert evidence was led by the Defendants. I am satisfied there is a real and substantial possibility Mr. Singh may lose his job at Leading Edge at some time during his lifetime. He obtained his job at Leading Edge when his previous employer shut down its Burnaby plant. Leading Edge had done contract work with that employer. When he joined his current employer there were some 40 employees. As a result of the loss of its biggest customer the workforce has shrunk to some 12 employees. The fact the workforce has been at this level mitigates against any prospect Mr. Singh may lose his job in the immediate future. However the facts demonstrate there is transition and risk inherent in his employment in his industry. In the present case, should Mr. Singh be required to seek alternative employment I conclude he has met all the criteria above noted: he has been rendered less capable overall from earning income from all types of employment, particularly that of an electronics technician; with his current physical limitations he is less marketable as an employee; he has lost the ability to take advantage of all job opportunities which might have been open to him; and he is less valuable to himself as a person earning income in a competitive labour market. 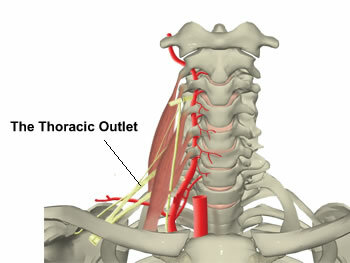 I have taken into account: his symptoms have remained constant since the date of the second accident (some 4 1/2 years ago); he remains unable to work with his arms extended above his head for any length of time; and he will likely obtain some form of relief following the regime set forth by his physicians. It is not likely a new employer would be as accommodating to (or even hire) Mr. Singh should he lose his position. Mr. Singh is 39 years old and, assuming he works to age 65, has 26 years of earning capacity to consider. In view of all the forgoing I assess damages under this head of damages at $40,000. Mr. Singh was unable to paint his townhouse. He required the assistance of Mr. Ram to do so, in the fall of 2010. Dr. Travlos has made reference to the fact the plaintiff may well have to employ people to do work of a heavy nature such as home renovating or decorating. The plaintiff seeks an award of $10,000 in compensation for this head of damage. In my view, an award of $5,000 is appropriate.